A while back there was a crowdfund call for money to create a new Star Trek series. Called Star Trek: Renegades it had a number of big, familiar names associated with it and plans to make a darker, grittier version of Trek than previously seen. 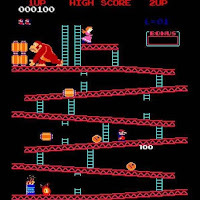 Unfortunately, there were issues with IP. Paramount were not keen on allowing the producers to use the name Star Trek. This was probably because they were already developing Star Trek: Discovery which looks set to involve its own gritty reinvention. The project, therefore, mutated, removing many of the familiar concepts and dropping the Star Trek from the title. Renamed Renegades the first two episodes, which combine to form the pilot 'Reqium', have now been completed and the first part released to backers. As a backer of this project, I got access to the first episode on February 2nd, though did not have a chance to watch it until recently due to issues with building work in the house. What follows is my review. The plot revolves around a crew of 'deniable assets' working for an interplanetary organization called the Confederation. 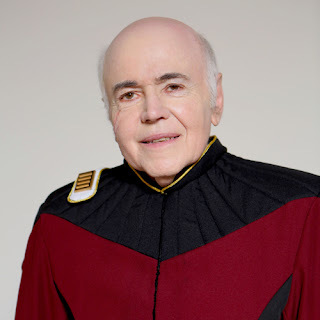 They report to an elderly Admiral (played by Walter Koenig) who is working against a hidden cabal within the Confederation and realizes he cannot trust anyone within his own command structure. So, he calls on a mercenary crew of criminals led by Lexxa Singh to perform missions. The main issues with this first episode revolve around the dissonance between this and Trek. This is Trek but not as we know it. There are a number of well-known faces in the mix - Walter Keonig, Nichelle Nichols, Terry Farrell, Tim Russ, Robert Beltran, Cirroc Lofton. Some of them are playing characters who are almost but not quite entirely unlike those they have played in Trek. For example, Cirroc Lofton is playing a journalist called Mr Sisko who could easily have been the son of a certain station commander and Keonig and Nichols are the older Chekov and Uhuhru in all but name (in fact neither gets name-checked in the dialogue, Keonig is referred to in the titles as 'the Admiral' and Nichols is called Admiral Grace Jemison on the cast page). The exception is Robert Beltran whose character seems to be completely unrelated to Chakotay - he appears as a bar owner. This almost but not quite a thing might be an issue for some, especially for any who are here only for the Trek, but I found it was quite easy to instead think of this as being a very distant alternative universe where things are completely different to the Trek we know and love - further removed then the infamous Mirror universe and the current Kelvin timeline. The other negatives I noticed was production value based. This is understandable given the limited budget involved and actually, I think overall the final product is well done given the circumstances and we can excuse some slightly ropey acting and shaky editing. If this series develops further I am sure things will get a lot smoother and professional looking. Overall, however, I enjoyed this a lot. The plot and characters were engaging, especially the crew of the Icarus (the name of Lexxa's ship) and in any ongoing series based around the crew of a starship, the characters you need to connect with are those on board not the peripheral ones like the Admiral. The crew comes across as a typical ragtag bunch of criminals and misfits and there are hints of backstory and relationships between them that looks promising for future development. The end of the episode is a bit sudden. I guess this is because the intention is to eventually combine parts one and two into a single episode. It did, however, leave me wanting more.